Becci Bookner, CEO, Family Staffing Solutions, Inc.
Becci Bookner, CEO of Family Staffing Solutions, Inc. is no stranger to setting the standards in care. 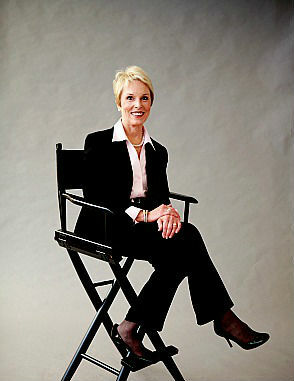 In 1993 she founded her first successful personal assistance care company and has continued that work today through Family Staffing Solutions, Inc.; having helped thousands of families just like yours care for their grown-older members in the comfort of their own homes, She is proud of staffing more than two million, five hundred thousand hours of excellent care. Her company currently offers franchising opportunities. Inspired by her experience in professional elder care, Becci continues to author books and develop senior care services designed to bring families closer together and celebrate aging. Her latest project was finishing the “Put it in Writing” keepsake calendar which can be found with her other books at Violet Ink Books. Please click on this highlighted link to visit Violet Ink Books. Becci Bookner’s newest book, Business Woman’s Guide to Caregiving, offers support and guidance for working women. According to the recent University of Michigan Health and Retirement Study, daughters are two times more likely to provide care for aging parents than are sons. The research concludes that in families with children of both genders, sons will reduce their time spent with their elderly parents while daughters increase that time to compensate for their male siblings. For daughters providing care for their parents, author and caregiving specialist Becci Bookner is here to help. Her new guidebook, Business Woman’s Guide to Caregiving: A Kit of Tools for the Heart (published by Westbow Press), is a unique caregivers’ manual written with the business woman in mind. Bookner, who has also authored “Patterns of The Heart,” “Good Manners for Great Caregivers” and “Something About Christmas,” brings an extensive amount of career experience to her book. As the president and CEO of Family Staffing Solutions and a caregiver herself, Bookner writes from knowledge, offering unique insights into caring for parents. With Business Woman’s Guide to Caregiving, working daughters will find support and advice for balancing their professional lives with their care-giving responsibilities. Bookner encourages readers to see the joys and blessings God gives them through care-giving and enjoy these years of caring for elderly relatives rather than viewing the responsibility as a burden. Purchase Business Woman’s Guide to Caregiving by online order from our Violet Ink Bookstore. If you prefer to order by phone, please call Family Staffing Solutions at 615-848-2810. You are alright, but are your parents? Ask Becci: What Is Personal Care Assistance? Designed by Living Water Digital | Murfreesboro Web Design.